Lifelong Democrat declares war on Governor Jerry Brown over nuclear power | Watts Up With That? h/t Willie Soon – Lifelong Democrat, Founder and President of Environmental Progress, and Time Magazine Hero of the Environment Michael Shellenberger will stand as an Independent candidate for Governor in the 2019 California Election. Shellenberger, who supports nuclear power as a legitimate means of reducing CO2 emissions, is horrified at Brown’s efforts to shut down the Diablo Canyon nuclear power plant. He accuses the California Democrat Party of corruption, waste, environmental destruction, and hurting poor people with out of control cost of living increases. As most of you know, atomic humanists around the world have recently scored a series of big victories protecting nuclear power, our largest source of clean energy. Last year we won in Illinois and New York; this year we won in South Korea, Connecticut, and France. Battles are still simmering in Ohio, Pennsylvania, and New Jersey, where I will testify on Monday. But the biggest battle is here in California — my home state. Soon, the California Public Utilities Commission (CPUC) will announce a plan to kill Diablo Canyon, our largest source of clean energy, and replace it with fossil fuels. Who’s behind the CPUC’s effort to kill our largest source of clean power? Our anti-nuclear governor, Jerry Brown, who appoints its members. As Brown travels around the world claiming to be a climate leader, emissions have risen in California every year since he took office. Meanwhile, throughout the rest of the United States, they declined. The main reason? The Brown Machine’s successful effort to kill another nuclear plant, San Onofre, in 2012, and replace it with natural gas, at a cost to ratepayers of $3.3 billion. Brown is trying to build a slow-speed train at a minimum cost of $64 billion — even though self-driving cars will make it obsolete before it’s finished. The people who are paying the highest price are, as usual, the poor and vulnerable. 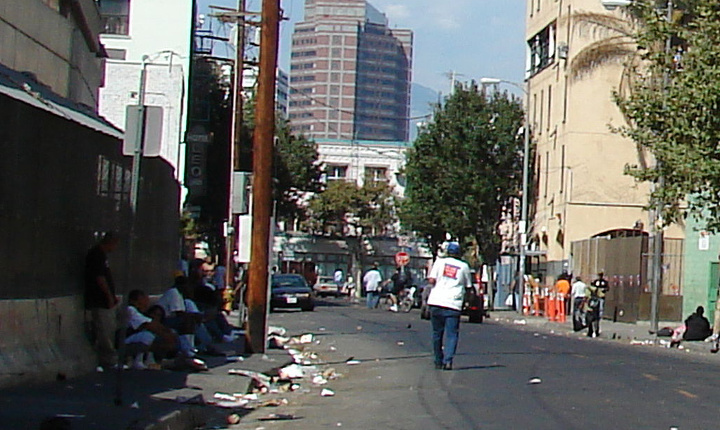 Today, California has the highest poverty rate in the nation. Why? Because the cost of living is so high, and wages are too low. Air pollution has worsened in southern California, disproportionately increasing asthma attacks among the poor, Latino, and African American children. Even though we pay some of the highest taxes in the country, seven percent of Californians lack health insurance, housing prices are outrageously high, and tuition keeps rising. Meanwhile, our schools are failing. Less than half of our students are proficient at math and English. And Latino and African American students suffer the most. And our prison industrial complex — rightly called “the new Jim Crow,” for its racially disproportionate impact — is maintained by lavish campaign contributions from the corrupt prison guards union to the Brown Machine. Who is the heir-apparent to the Brown Machine when Brown steps down in 2019? As Lieutenant Governor, Newsom is implicated in the corruption. Indeed, he has played a pivotal role in the effort to replace Diablo Canyon with fossil fuels. When Newsom appeared on “The Colbert Report,” in 2013, he babbled like an airhead, but he is no idiot. Why does Newsom spend all day attacking Donald Trump on Twitter and Facebook? To distract us from his record running and ruining our golden state. Meanwhile, none of the other candidates are telling the truth. None are offering real solutions. And none can be trusted. Over the last year I have struggled with what to do. And I tried and failed to recruit a reform-minded legislator to run for governor. I am left with one option to save our largest source of clean energy, and our state, and that’s to run for Governor. While I appreciate this may come as a shock, I hope you will consider supporting my candidacy. First, though I am a lifelong Democrat, I’m running as an Independent. The Democratic Party is corrupt, through and through. Second, I’m running to win, and “winning” will require more than getting elected. It will require enacting sweeping reforms. Until we smash the dirty Brown Machine, nothing we do on jobs, schools, health care, housing, or energy matters. I only came to this decision very recently, and very reluctantly. I hate politics for precisely the reason I am running for governor: it’s a dirty profession and must be cleaned up. I have spent most of my career fighting for clean energy. Now, I must fight for clean government. I have spent my life creating and working for not-for-profit organizations. Now, we must make California’s government a not-for-profit organization. I did whatever it took to win in Illinois, New York, South Korea, Connecticut, and France — I will do whatever it takes to win in California. This won’t be easy. The Brown Machine is backed by millions of dollars and the dark money of its allied special interest groups. But we have something on our side they don’t have: the truth. It is the stone in our sling shot. My campaign will be a campaign of action: it will consist of exposing the corruption of California by the Brown-Newsom Machine at every turn. Sunlight remains the best disinfectant. The media gatekeepers can no longer stand in the way between the public and the truth. Twitter and Facebook have ripped down the barriers to communicating directly with the people of California. I need your help. I can’t win without your moral and financial support. Before I ask you for a contribution, I want to ask for your volunteer labor. We need everything: researchers; organizers; graphic designers; fundraisers; attorneys; and administration. If you’d like to help, please send me an email. But don’t ask me for permission. If you support the reform agenda I’ve laid out here, then please just start campaigning: make your own Shellenberger for Governor sign; share this on your Facebook page; and recruit your friends and family to help. I have so far only asked one person for his or her endorsement, and that’s climate scientist James Hansen. I am honored to announce he has given it to me. Let me reassure you that EP’s critical work saving nuclear around the world will continue. I will testify in New Jersey next Monday, and I will travel where I need to travel to defend clean power in crisis. And I will keep a very bright line between my work at EP, and my work at Shellenberger for Governor. Thank you for your support in helping EP to achieve our goals of nature, prosperity and justice for all. Now let’s go fight for the California dream. Back in September this year I posted Extreme Poverty USA: The True Cost of Climate Madness, in which I discussed the horrific suffering caused in part by Jerry Brown’s climate zealotry. While Shellenberger is not a climate skeptic, he does point out the obvious – renewables don’t work. They are hideously expensive, they don’t reduce emissions, and they hurt poor people. Shellenberger also points out something which should be even more obvious, that nuclear power is the only viable way to rapidly decarbonise the economy – a point supported by high profile green activist James Hansen, former director of NASA GISS. Even hardline green campaigner Senator Sheldon Whitehouse thinks nuclear power is a good idea. If Shellenberger wins, California will still be expensive and green; but if Shellenberger is true to his word, if the Brown climate madness is tempered with a little compassion, under Shellenberger poor people in California will have at least a chance of living their lives with dignity and hope. December 2, 2017 in Politics. San Anofre was closed because ConEd bought a new set of heat exchanger tubing from the Japanese. These have to operate at supercritical temperatures, which is tricky for steel as water breaks up, releases hydrogen, which reacts with carbon in the steel to make methane. This causes the pipes to blister and embrittle. So, ConEd after years waiting got their tubes from Japan, which cost millions. With installation, and they started leaking. This is a problem as the water can have radioactive tritium in it. They plugged some. More started leaking. They went back to Japan and found the pipes were made to the wrong specs. That is it, ConEd gave up. I don’t know if the Japanese company just said they would declare bankruptcy, or what have you, but screwing around further was not an option. I don’t see how that links to what Jerry Brown was doing. Overall, with time, ConEd was constantly harassed in the state legislature for more money and more regulations, which costs more money. They fought state utility regulators constantly. So ultimately ConEd solved the regulatory problem by selling all of their power production to third parties and became a transmitter of power only. The background constant regulatory problems I know about because at the time my father worked for ConEd, and did inspection work related to San Anofre, but the heat exchanger fiasco was after he had left the company. How can this happen? I have worked in the nuclear industry for a while, and know how much care they take about specifying the correct materials – especially in areas of high neutron flux….? I seem to recall they were designed backwards – i.e. they software code had the specifications reversed. But it has been awhile since i worked in nuclear. Last plant was Trojan in Oregon, closed now almost 25 years. What a waste. The heat exchangers were an entirely new design. The goal was to design a heat exchangers with the latest design knowledge that would last longer and would be more efficient. This is common practice for other industries that use heat exchangers. As part of the work a software simulation was used to verify the design. The software underestimated the amount of vibration water turbulence created. That vibration caused cracking sooner than expected and leaks. The steel was made to spec and the heat exchanger was correctly built. But the design was flawed. Unfortunately the design of heat exchangers often makes them impossible to repair. So periodically each pressure tube is pressure tested to see if it leaks. If it leaks a welder seals off the tube. A large number of tubes are used so that the heat exchanger would last decades before it would have to be replaced. Additionally many nuclear plants were designed in the 50ss and 60’s with the assumption that when the heat exchanger needed replacement the entire reactor would be demolished and a new reactor would be rebuilt. The assumption was that this would happen about every 20 to 40 years. It was also assumed the new reactor would overall be of better design and would cost less to build. Those assumptions were way off. So the design didn’t include enough space to or large enough hatch to remove and install new ones. So they had to cut holes in the containment building to replace them. This makes it a very expensive and time consuming way of doing a replacement. And they only discovered the problem after the work was all done. You lost me at Hansen. Thanks, steven F — some good info. Steven F has the right answer – tube vibration in two-phase flow was not correctly modeled. (Those #@&! models again!) In the olden days of the wooden neutrons, pre-super computer modeling engineers would use their slide rules to estimate what was needed, add some margin for the error band, build a full scale test loop, and use real world observations to make design decisions. Alas, those days of yore are forgotten, and the education system no longer caters to reality and high standards. Steven, search under my handle, I’ve commented on Crystal River before. Saved their bacon a few decades ago too. Dodgy Geezer – we may have crossed paths. I’ve never heard of San Anofre, so maybe you’re correct that it’s owned by ConEd. ConEd is a New York supplier of electricity that originated in the 1880s. San Onofre is principally owned by Southern California Edison (SCE), which is owned by Edison International. Southern California Edison are the executives who dumped their USA software people a couple years ago, contracted with an off-shore cross-border bodyshop. The Moscow, Ohio plant was a total botch. The executives in charge there were well-intentioned folks, but just a little ignorant. Contractors cut corners because they did not understand the importance of “taking pictures” of every weld to ensure they were good enough. I got to do a walk-through while it was under construction before the stuff hit the fan, from which I learned that there is a lot more to it than appearances on a guided tour. Then the OPEC embargo hit and they converted to clean coal, which they did have knowledge and experience in implementing incrementally. But eventually, they “re-organized” and were consolidated into accursed Duke. I have a good deal of respect for the guys who operate and guard these places for us, whether coal, natural gas, oil, or nuclear. And a little wortied about the folks who develop the control systems (they talk a good game about quality, but nailing them down on how tgey are expecting to achieve it is another matter). But more wary of the suits of some of them, and some of the cheap-labor, minimum bid contractors. Japan has had some bad disasters from unethical contractors, ditto India, and with Red China it’s almost always bad because of the government ties…their priorities are affected. These are only my impressions and recollections from the periphery. I remember a project where a major vendor was a west coast company that purchased stainless steel shapes from China. Our engineering department insisted on extensive testing before accepting shipment. The tests failed. Beware the “Made in China” label for materials for critical applications. Exactly, I send teams to inspect critical material BEFORE it ships and insist on lot witness samples. I’m nowhere near the level of QA that any public utility should be working. Hate to go to the tinfoil hat, but that level of management negligence is suspicious. Edison did all of that, but the design was incorrect due to issues with computer programs at Mitsubishi. And others are correct, it is not ConEd, that is indeed in Chicago. Suggest you find the TRUTH about SONGS. It was not about corrosion it was about improperly MODELED flow in the steam generators. The FLOW caused vibration which caused the leaks. The Japanese designer modeled the flow and designed the SG internals. Computer models are only as good as the designer, just like the improperly designed climate Models are predicting climate armageddon. Isn’t part of the problem that it was designed for constant baseload power, but also used to smooth out the daily supply fluctuations caused as solar power units joined the grid? Frequent changes in power output caused thermal transients that the heat exchangers were not designed for. BZ – correct answer ursurbrian! Don K does not have a clue! I am not a SG expert but I have sat next to a few. The company I worked for was very good SG and reactor vessel head replacement. Three of the latest US reactor closures occurred because the wrong people tried to do the job. Correct, usurbrain. The corrosion from the hydrogen embrittlement mechanism Mr. Kasper mentions happens to carbon steel boiler tubes in fossil units, not the high alloy tubes in nuclear steam generators. “ So, ConEd after years waiting got their tubes from Japan, which cost millions. Typical government employee(s), ……. sign a contract for the manufacturing and purchase of a “specific” product, ……. but don’t waste “time & money” by appointing a “project supervisor”,…….. just pay millions for it upon delivery, …….. and iffen it doesn’t work, ….. throw it in the trash and try something else. Heh. A lot of experienced plant and piping engineering people are being replaced by button-pushers of sophisticated software. Not to mention out sourcing to places with $5/hour rates. What could possiblie go wrong? DK … Ever heard of paragraphs? The fact nuclear is the ultimate solution is a no brainer. Energy density of its fuel is millions of times higher, than that of chemical fuels. So much so, that a ton of ordinary granite, the default stuff continents are made of, contains as much recoverable energy as fifty tons of coal. As we have much better ores than that for a long time, mining footprint is negligible. The only thing is, we should burn all the fuel up, not only one percent of it, in order not to leave behind a tremendous amount of nuclear waste laden with long half life transuranics, only a hundred times less short half life fission products. Their radioactivity decreases to environmental levels in several centuries. So there would be no Plutonium mines, sites to be strictly guarded for countless millennia, an impossible task, if history is any guide to it. The technology to do that was basically developed fifty years ago at Oak Ridge, then shelved. It is inherently safe with a negative temperature coefficient of reactivity. The fuel is dissolved in the coolant (molten salt), which is chemically inert (can neither burn nor explode) and has a very high boiling point, so there is no need to keep it under pressure. Also, unlike in current solid fuel Plutonium factories, neutron radiation can do no damage to fuel whatsoever. At any one time the reactor core contains only several kilograms of fissionable material instead of many tons of it, so even a direct meteor hit to the core can only do limited damage. There is no need for sophisticated control, neither cooling on shutdown, because physics of the reactor itself does the job. With no water at the vicinity of core there is no Hydrogen to explode or do harm to pipes. Moreover, it is resistant to nuclear proliferation (not suitable for manufacturing nuclear weapons). It is superior to anything else, including nuclear fusion, and last, but not least, it is doable right now. It’s a shame it was not pursued. That said, fossil fuels have a role to play in the transition to nuclear power and there is nothing to worry about their inevitable CO2 emissions, not toxic stuff anyway, while actual pollution can be minimized with the right technology. Liquid fuels are perfect for transportation, and even if we run out of oil, they can be manufactured easily and cheaply at molten salt reactors, because they can produce high enough temperature to drive chemical processes, including plastics manufacturing. Electricity is good for the rest. All other raw materials are given, provided we have cheap energy, because from a thermodynamic point of view energy needed for enrichment is only proportional to the logarithm of density of target in ore and we have plenty of that bad ores over the place. Therefore there is no threat from peak anything and we already have a fuel which is sustainable and will last until the Sun goes wild and makes Earth uninhabitable anyway. I can see no reason not to be overtly optimistic, a technological society has a long future, it is certainly sustainable. If only these latter-day luddites would go away. I am in favor of using chemical energy of fuels more efficiently than burning them. Any combustion-driven process has severe thermodynamic limitations. Fuel cells is another way to go. The problem is that many rational people are also sitting in the boat the greens are unwittingly capsizing. For nuclear power, as you run heat exchangers at supercritical at up to 620 C, you better know what you are doing. In fact, since the water dehydrogenates, they call it ultra-supercritical above 575 C. This is one of the problems limiting nukes life expectancy. Only B&W NPP Steam Generators run at Supercritical temperatures and they are only about 10 to 15 degrees F superheated. BZ – correct answer ursurbrian! Again! One of those problems that have been solved. Make the equipment hatch big enough to replace even the reactor vessel. Life expectancy has gone from 40 years to 60 years. In 20 years, it will be 80. None of the nuclear reactors run at supercritical conditions. The highest conditions in a pressurized water reactor is in the upper 600F and 2250 psi, below the 705F 3200 psi that is the critical point. The pressurizer keeps the pressure high enough to suppress boiling in the reactor coolant system. On the steam side, the CE and Westinghouse steam generators run at slightly under saturation. The only superheated steam is in the moisture separator reheaters, after the steam has been through the high pressure turbine. Only the B&W units have about 50F of superheat (not supercritical) leaving the steam generators. Liquid Li not water as primary heat exchanger, and probably others. I agree with the misanthropic view by the green blob as exemplified by Brown. I have a suspicion that the hard-core greens oppose nuclear power because it can work to maintain industrial society, while renewables cannot. As Erhlich stated, having cheap and abundant power is like giving an idiot child a machine gun. “hard-core greens oppose nuclear power because it can work to maintain industrial society” …. +1 It’s all about “wealth redistribution” and devolving man to a society of the lowest common denominator. Wow, I have never considered that wrinkle in the Green agenda! If true/correct/accurate, then it goes to explain a lot of what is happening. Even if not true/correct/accurate, then it still leaves the Green agenda as a blight on all our society. Renewables absolutely CAN maintain industrial society. Germany depends on its industry and also intends to power it renewably. Griff, Germany Depends on Brown Coal. Keep that in mind since you appear to forget it. About ‘intends’. Sweden intended to phase out nuclear in 1980. That is, 37 years ago. It is not unnecessary to note that Sweden has now more nuclear than in 1980, and intentions to increase ‘renewable’ are totally based on socialism, i.e. taxing people until enough money is collected to pay the subsidies needed to sell the even useless energy. How you know it is useless? It is useless because the price is negative at the market. It is not needed, the operators would not buy it. Funnily though, this means higher rates for the end user. It also means a lot of money is earned by producing the unnecessary renewable power, due to subsidies. It also means owners of coal plants close them down as the subsidies make them impossible to run profitably, which ultimately threats the grid stability. Finland is dependent on Russian coal, how cool it that? It is idiotic, not only because it is imported and coal power. Oh, it could be nuclear as well. But it is not renewable, as Comrade Putin, who sniggers at us, does not believe in your dreams a lot. Close plants here, Griff, and prepare to import more externalized CO2 in Chinese steel and Russian power. Brought to you by coal. It really is amazing how Griff holds tight to the lies he’s being paid to spread. Germany is only stable because of France’s nuke’s and Norway’s hydro. Griff, you rationalizer of the impossible. Germany is in the larger Northwestern Europe grid, so it can rely on nuclear from France, hydro from Norway, coal from Poland,. . .
Anyplace that has tried to rely on so-called renewables, like Tasmania or that island in the Spanish Canaries, failed. Hold off on the Grauniad for a while, and read some Australian blogs on the joys of trying to go off grid with renewables. The technology does not yet work, and will require some breakthrough not in the pipeline. Shellenberger is an OK guy. Not sure if he is up to the political task of dealing with Moonbeam and his nasties in an election campaign or the legislative with all it’s communists but I wish him well. Wait, Brown is adding natural gas power and folks here are against? So confused….. Some people are against. Never all. I like nuclear. I will always hate and oppose nuclear, up until we can get a 4th generation reactor up and running, then brothers and sisters, I become a believer. Liar. He isn’t “adding” it, he’s replacing nuclear with it. S. Geiger, “folks here” are not against adding natural gas power. Shellenberger is, but he’s not one of the “folks here.” Most “folks here” are in favor of nuclear power, and opposed to shutting down functioning nuclear power plants, which is part of the criticism of Brown. Nuclear power detracts from the amount of variable renewable that can be added to the grid before storage. Nuclear isn’t variable enough to push renewables that will be saving the world. And who could be against “saving the world”. It’s simple politics of division, nuclear doesn’t fit the narrative push. The child sacrificed for power. I’ve read that only 20% or so of Greens are hardline anti-nukes—mostly older Greens. The other Greens have conceded the point, to keep peace in the family and maintain a united front. If Shellenberger wins and gets his pro-nuke platform through, it could lead the majority of the Green Blob to rescind its anti-nuke stance, reasoning that only by doing so could it break the stalemate on reduction in fossil fuel consumption. Leo is right, European Greens are anti-nuclear to the core, but US Greens are not so committed. US eco-fascists waffle back and forth on issues constantly, such as paper vs. plastic garbage bags, ethanol, etc., so waffling on nuclear power wouldn’t be out of character. Except Roger the evidence is there India and China are pushing hard to achieve Paris targets -possibly earlier than stated. both have suspended construction of new coal plant. Europe isn’t going to go nuclear any time soon… German pushes forward on the 2022 close, France will cut back on it in favour of renewables (keeping it running is bankrupting EDF) and only the UK will build any new plant beyond what’s under construction. Griff, your faith is communists in China is incredibly funny. Sure yeah, pushing Hard to reach their Targets. What exactly are the Chinese doing, other than issuing meaningless statements while continuing to build hundreds of coal fired poser plants? That is because it worked so well in France their ideology was threatened. No need for wind and solar…..
What Jerry Brown really wants is for all forms of life to be removed permanently from California. Even plant life gives off CO2 from time to time and rotting organic material gives off mehtane which are all bad for the environment in Jerry Brown’s view. Of course the real culprit in terms of so called greenhouse gases is H2O It is going to be most difficult to get rid of all H2O in California since part of what the state of California has jurisdiction over is ocean. The so called greenhouse gases flow into California ovedr the borders of the staate and Jerry Brown has been unable to stop it from happening. Wait until Jerry finds out that N2 is a much more potent heat trapping gas thatn is CO2 because N2 molecules absorb heat from warmer molecules that they run into but they are not as efficient radiating to space as are the so called greenhouse gases. Maybe Jerry should try to ban N2 from the state as well. After all N2 in the atmosphere above Californis is more responsible for global warming than any other gas in our atmosphere. Getting rid of all N2 in the atmosphere of the Earth would definitely cause global cooling and more than reverse any global warming that we might have been having. N2 doesn’t cause warming in the levels of the atmosphere that get warmed by GHGs and the GHG-warmed surface; it merely gets warmed. And it gets cooled in the upper levels of the atmosphere that are cooled by GHGs. The insulating effect of the atmosphere is a function of the heat capacity of the atmosphere, the depth of the troposphere, and gravity which act together to provide a convective greenhouse effect. The convective greenhouse effect provides the entire insulation effect that has been observed. The radiant greenhouse effect has not been observed anywhere in the solar system. Hence the majoriety of the atmospheric caused warming that we feel is caused by N2. N2 is not a GHG. It can carry heat, it can circulate. It is heated by, and can in turn heat the surface. It can transfer heat to GHG’s so they can in turn radiate it away. The same applies to argon and oxygen. Did someone forget to mention that Michael Shellenberger was once an anti-nuclear power activist?, who campaigned to shut down nuclear power by “constipating it“. This is: by scaring people over the non-issue of nuclear fuel waste. He broke with old-style NGO environmentalism 15 years ago and renounced his mistakes. Rare footage of a Democrat changing his mind about something. The Trump effect in action? Non-party individuals who believe they are in the right and that people will vote for them given the opportunity. Supercritical? Neutron flux? Steam generators at a pressurized water reactor operate at a Thot and Tcold of a little over 600F and 530F, respectively. They are not exposed to a significant neuton flux, either. If the green folk really want to supplant the use of fossil fuels they ought to be embracing nuclear power. If Shellenberger is a buddy of Hansen, that doesn’t sound too good – but if he runs, might he not open the door to a Republican governor? Or is Ca that far gone? Can you folk over there tell me? Hansen is also pro-nuke, as is his disciple Gore. I think many of the fossil fuel lovers here hate them more for that than they do CO2. This place is loaded with fossil fuel lovers who bash nuclear every chance they get. But then they turn around and say they are pro-nuclear. Either you are blind, or you are talking about a different site. PS: What we love is cheap and reliable power. Only fossil fuels and nukes are capable of providing either. PS: I’ve only seen a handful of our regulars who are anti-nuke. We acknowledge that there are issues, but we also point out how those issues are solvable if the greenies would get out of the way. I would beg to differ. Thorium REmix 2011 came out in 2011 and shortly after that I posted a link to it here. As far as I know I was the first person to make this website aware of it and what we did at Oak Ridge in the 60’s and 70’s. So I have followed this with keen interest on this board. And most of the time what I hear from the fossil fuelers is some excuse why it is not ready for prime time. I am not against fossil fuels. I used to work for Exxon. Most of my retirement fund is in Exxon stock. But we need to move on. Fossil fuels are not the energy of the future. And the sooner we get off them the better. You would think that the major oil companies, that could easily make gas and diesel substitutes from CO2 in he air with LFTR technology would have jumped at the chance to invest in and perfect this technology. They have the money to do the first mover costs. Yet they don’t. And I have heard many nuclear proponents say their biggest hurdle has always been the fossil fuel industry, not the Greens or the renewable people. The fossil fuel industry gives lots of lip service to nuclear power with backhanded compliments. And I see the same thing here all the time. California has become a one-party state, of a name beginning with D (the other “D-word”). It is unlikely that a third-party candidate, such as Mr Shellenberger could “steal” enough votes to put a Republican in the Governor’s job, or upset the Dem majority in either house of our legislature. And, of course, with Tom Steyer and his friends bankrolling the Dems, we’ll again get the Government that Tom wants. and mothcatcher its of a design which has yet to go into operational use, with all other examples delayed by years. This is why Trump doesn’t care about the MSM. The French decision to extend the life of many nuclear plant rather than go through with Macron’s nutty idea of closing them down, had nothing to do with Mr Schellenberger or Mr Hansen. They live in a bubble all of their own. No doubt Mr Brown is corrupt , but God help Californians if their best escape route is through a guy who believes salvation is nuclear powered ‘Musk’ self drive pods. Just exchanging one fanatic with another. hypothetical situations for which they have no probabilistic data. The history of American nuclear power is an enviable one. It has been, by far, the safest means of generating power, and this entails a very long history – 5 times longer than any of the renewable technologies of today. Traditional nuclear light water reactors have been proven safe, and no arguments can change that basic fact. Citing a Communist Russian nuclear accident like Chernobyl is not even a valid argument against the far more advanced nuclear reactors in the West, especially when compared to Gen 3 reactors, generally considered 10 time safer than reactors that were enormously safe already. are currently developing this technology, using various strategies to overcome its previous impracticality. One, or perhaps several, design strategies will likely win out, on the basis of build costs and operational costs. These costs are low – roughly one third to one half that of conventional nuclear. It likely will either produce the lowest cost power or come close to equalling the lowest cost power. The plants will have a capacity percentage greater than current nuclear, since they do not require refueling shutdowns- they are refueled on a constant schedule as they operate. complete lack of probable injury-causing accidents. It’s very difficult to even imagine asituation which would pose danger to more than a few plant operators, if them. It also can load follow – ramp its power output up and down rapidly, unlike conventional nuclear, thus largely eliminating need for peak load generation plants (mostly from fossil fuels). Prototype plants will appear over the next several years and commercialization will begin after that. Windmills were used for mechanical power in the middle ages. And were immediately replaced by more reliable, more usable power from fossil fuels as soon as it became affordable in every case. Even in shipping, the more reliable – though more expensive! – coal-fired, paddlewheel packet ships were getting across the Atlantic carrying passengers and cargo and mail on regular schedules in the 1830’s and 40’s. How much electricity does an Aermotor produce? Hydro and wood waste are also examples of renewable power plants that will last more than 50 years. Born and raised on a farm with several Aeromotor Windmills providing water to the cattle. From the time I reached 14 till I joined the navy I had to get up an haul the wagon of water to each of the troughs to ensure that they had sufficient water till I got back from school. At least 50% of the time they need it, and there were several occasions when i had to make a trip back to refill the tank because there was barely any water in all of the troughs. After I joined the Navy, dad had no choice but to run power and electrify the watering troughs. Wind is called “unreliable” for a reason, not just as a derogatory name to upset the greens. Aside,I have been an environmentalist for 70 years, I even took first place in the HS Science fair for making a wind driven generator from a smaller Areomotor blade and Model-T generator. Used it to provide lights in the barn and power the electric fence transformer. We have Hydro power stations close to ninety years old Arapuni on the Waikato river is one was commissioned in the 1920s. Which is both unfortunate, and deliberate. And dead wrong. it is, however, a deliberate result of their political desire to legislate the energy outcome of their foolish economic and enviro policies. If hydro is considered renewable, then the percent of energy used in California that is renewable goes up, and they will meet their political (propaganda) goals earlier and easier. The enviro’s do NOT want to meet those political goals, but instead want ever-higher prices to be paid for energy and greater rewards to go artificially to their favored sources (wind, solar, and exotic sources and imported energy) and avoid their cheaper (but out-of-favor sources (local hydro, nuclear, in-state fossil). A politician, a political creature of politicians and powerful people such as an energy board, a school board, a professor, a university, or ten thousand professors at one hundred universities can “say” anything they want. But it does not make what they say “true”. Aermotor windmills are perfect for pumping water for livestock. When the wind blows, they just pump water, and I’ve never seen one with any mechanism for shutting them down if the wind is too strong; they just steer themselves off the wind direction with a simple mechanism requiring NO power besides the wind. There’s still a bunch of them operating in the CA central valley, in places you wouldn’t want to run power lnes. Even blind squirrels find a nut now and then. And the poor people of California have found bushels of nuts, to their misfortune. I expect Governor Jerry Brown to follow the example of his friends Mugabe and Morales and to run for a third consecutive term. He would also be in a shining company of FDR the Great. I guess supporting a dyed in the wool decarbonizer Democrat environmentalist shows how truly bad Jerry Brown is! I’m encouraged that there is a Democrat who also has concluded that “The Democratic Party is corrupt, through and through.” I despaired that such an ugly party that it has morphed into had no dissenters. A cause that I think would be worth the effort would be to start a campaign to invite Dem dissenters to come out, maybe a Tea Party type of thing and let them marginalize the rot out of contention. Hey I’m a righty free enterprise but the Democrats used to at least be to the right of every other liberal organization in the world. In Canada, we also had some good free enterprise liberals a couple of generations ago. Oh, and a word about all the Dem harassers being outed by women these days – yeah it started as an anti-Trump political strategy and certainly it exists in all walks of life, but we are going to see a landslide of liberal perps. A whole party and its followers who believe they are entitled to rule means they are entitled period! The anti-Christian aspect is part of their world view, too, which perhaps releases the conscience to a large degree. It isn’t much different than other areas in society where a few people have power over others and moral fiber has been in steep decline. If carbon dioxide were more than a secondary concern, they’d have a point about nuclear power and global warming – which is a tertiary concern behind economics and the environment in general.. Thanks to enviroenmentalists, nuclear has been ruined as an economic source for the time being. As for the general environment, the recreational areas around some cooling lakes for nukes is far less expansive and for more environmentally friendly than wind and solar. But that is true for coal and natural gas seems to be less expansive. But anthropogenic CO2 is more a tertiary concern to climate change, which is itself a tertiary concern – at best – to energy production. Where? It is hard to compete with a coal plant sitting on a strip mine or a gas plant with very cheap gas. Not exclusively. The Chernobyl (stupidity and carelessness) and Fukushima (profit over safety) disasters have a lot to do with nuclear being in the dog house right now. Yes, the designers of Fukushima should have allowed for one of the biggest earthquakes in history to set off a massive tsunami on their doorstep. Now, what precautions are the Wind industry taking in the worlds worst bushfire area (Victoria) to avoid a fire started by exploding turbines? The designers of Fukushima did take tsunamis into consideration, but unfortunately allowed profit motive to attenuate safety concerns. To try to save money (water pumping costs) they lowered the plant elevation closer than they should have to the ocean and the modeled max tsunami height. The designers of the nuclear plant just up the coast from Fukushima were more concerned about safety, and set that plant more than 50% higher than the modeled max tsunami height (a good decision IMO for such a potentially catastrophic technology). It survived intact, barely, because it was 1.8m above the max tsunami surge. Fukushima was a failure due to the Tsunami flooding the generators, running the cooling plant, not the Nuclear facility. No one died from radiation leaked during the initial 9.0quake, only due to the Tsunami inundation. Maybe this is the true “tipping point” where even those who believe in AGW start to see the mess they are in without baseload technology? We can only hope so. Quick, somebody introduce him to Kirk Sorenson!!! How much power does Kirk’s reactor make? After 50 second his presentation was BS. The difference between proven and models. Except that the molten salt reactor at Oak Ridge worked very well. It should have been the design we used for power plants. But the military wanted a two-fer. They wanted to support technology for nuclear weapons and the thorium cycle was not suitable for that. Thorium works very well in molten salt and in the thermal spectrum. Instead the military pushed for a uranium/plutonium cycle that had to breed in the fast spectrum and it never worked. And the uranium/plutonium people did not like molten salt either. Sorensen is the NASA engineer who rediscovered the Oak Ridge molten salt reactor experiment. He knows its history very well and how and why it worked. + infinity on that one TRM. If Shellenberger can siphon off enough Dems from Comrade Newsome coalition of eco-criminals and unions then maybe the Republican candidate will have a chance. There is no more Democratic party. It’s been taken over by the Progressives (who also own the Greens). If only it were true. There are no greens and very few progressives who have ever won an election. The Democratic party is made up of neoliberals with a neocon foreign policy agenda. If you are going to use Tesla electric trucks to replace the ~2m trucks on the in the US road today, the only conceivable power source is “atomic”. Each 500 mile recharge pulls the electric load of a small town. The average line loss through the US grid is 23% according to engineers (30% according to DOE). Nuclear plants are going to be remote and subject to higher than average line loss. 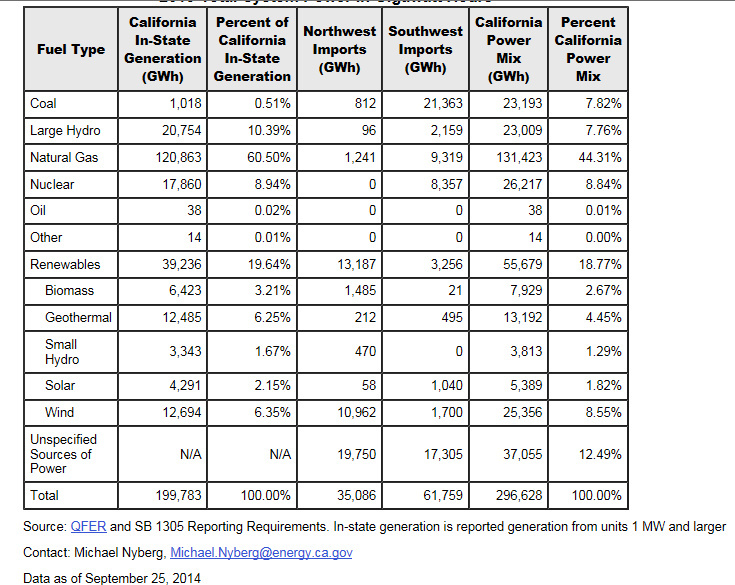 I wonder what the “unspecified” sources that provide over 12% of California’s power are? Moonbeams, no doubt. Since nuke plants are not remote now, why would they be remote in the future? They are remote now. As remote as they can be with a huge water source. Would you vote for one in your neighborhood? @gymnosperm They will not be remote if we go to liquid fluoride thorium reactors. They use molten salt for coolant and do not need to be by a water source. They can also be very small since they operate at normal atmospheric pressure. They can be made on assembly lines like airplanes and actually have far fewer parts. They are on their way. The technology was proven at Oak Ridge in the 60’s and 70’s. And they will not be a problem for a neighborhood. But you fossil fuel guys just keep on bashing nuclear. It is ironic that the CO2 alarmists are more in favor of nuclear than the fossil fuel lovers. Yep, visionar2013 , and that is the only nuclear energy production source I would support. BUT, given some of the monies being allocated to the ‘renewables’ industry, then it would go from model to reality reasonably quickly (fingers crossed). WA and OR produce more power than locally needed (Load = red line), and ‘hydro’ (blue) supplies the extra for the DC-Intertie, when the wind (green)doesn’t blow (like now, Dec 2, ’17). Thanks for the links. DC travels more efficiently because electrons “penetrate the whole wire”, where as in AC only the “skin depth”. Nobody really understands electrons, but this may be why why everyone in England claims line losses ~2%. Astonished with the efforts to ground the transformers at either end. A two mile ring of Iron anodes buried in a trench of petroleum coke? I get that coke (read Carbon) reduces Iron. Is the petroleum like the PCB in a goodole transformer, pretty much to prevent oxidation? That’s just silly. What’s the skin depth at 60Hz? About 10mm for Aluminum and 8.4 for Copper. DC will have lower radiated losses but those are miniscule at 60Hz anyway. The big advantage is that you don’t have to worry about any special phase matching, although you have to invert back to AC at some point. You want to tell us what the skin depth is in Copper and aluminum wires at 50 or 60 Hz frequency. Skin effect is a radio-frequency effect. It is a consequence of the change in series inductance with the radius of the metal layer in the wire. As a result, with AC, there is a phase shift between the current flowing on the surface, and the current flowing down some inner layer of the wire. at high enough frequencies, the phase shift eventually reaches 180 degrees, and now the current is flowing backwards, so you don’t need any of the copper inside of that radius. But 60 Hz has a wavelength of 5000km, so fat chance of getting much skin effect there. BUT ! long wire transmission lines are long enough to act as radio antennas, and radiate 50/60 Hz radio waves, and significant power. The transmission companies solve this problem by tightly twisting the three or six phases of the power transmission line, just as hi-fi nuts know to twist sensitive stereo wires, to reduce noise pickup. I’ve seen on 12kV local lines, a third of a twist in perhaps a mile or two so a full twist in under ten miles. With a 5,000km wavelength, that is tighter twisting than you can put in any 22 gauge seven strand hookup wire. So it is radiation losses where DC transmission excels. I believe that in Russia, they have million volt DC transmissions. Would make sense for Siberia. Just imagine having a million volt power line going over your house. You could build your own 1MeV tandem Van de Graf accelerator, and just hook it to the power line with an alligator clip. I had a Facebook request to sign a petition opposing a new Nuclear power station on our island. Then I had one to oppose wind turbines. Then one to oppose a new Gas fired power station. Following that I had one opposing a wood fired power station. The latest one has been an opposition to tidal power. We have no significant mountains, so at least Hydro is not an issue ! But I just wonder where on earth these people think their power is going to come from ? It does not take a whole lot of thinking to be against something. If you produce something like food or power it requires a lot of thinking but also provides the reward of job satisfaction. I may have started out mowing lawns. I still get a sense of satisfaction even if I am not paid. My observation is that some folks enjoy the drama of being against something. If all these petitions win – MOVE! I suspect they don’t know, don’t care and don’t even make the connection. Would you be in favor of liquid fluoride thorium reactors over fracking. That is the real question. I’ve said for over a decade that Nuclear Power is where skeptics and AGW proponents can find common ground. Who cares if the reasons we want the same thing differ… isn’t the important part that you want the same thing?! And then the AGW proponents turn away from nuclear like it’s akin to burning coal has stalled all progress. It’s a multi-decadal waste which I don’t see any end to, despite the efforts of Mr. Shellenberger. Actually that is changing. Many AGW proponents have come to the realization that only nuclear can save the planet. So he’s still a Democrat. It’s okay to hurt people if they aren’t poor. Bezos, Gates and Buffet have more wealth than 160 million Americans. Justify that. And if you can’t, lets hear your solution. Solution? Some people have more than others. Get over it. My house is bigger than my neighbors. Justify that. California – much like Western Europe, Australasia and Canada – has an appointment with death. They aren’t going to vote for something which is sensible. Much of the population has gone quite literally gibbering insane and they feed off raw emotion. A sensible practical measure is total anathema to them and they will surely reject it in favour of Moonbeam’s eternal emo madness. Perhaps instead of secession, some good citizens will petition Washington to replace the California government. It is failing in its prime objectives. It has run off chasing unicorns. Is that like being a progressive? Just try to get folks with such labels to explain. Maybe usurbrain will give a shot. I also one the science fair by making an x-ray using a radio tube and model T coil. This does not make me an environmentalist. Taking time to learn the science of the envelopment does. Sometime between being born and my first ship in the navy, being an ‘environmentalist’ in California became political. In San Diego harbor we pumped bilges and left a noticeable oil sheen. It was not about protecting the environment it was about deploying to Viet Nam. Being ‘ship shape’ has its own merits. You can eat of the floors in the engine room of a nuke ship or power plant. So clearly nuclear is an environmentally friendly way of producing power but the ‘environmentalists’ in California are strongly against nuclear power. The people to blame for closing all the nukes in California are the people who work at the nuke plants. I worked at a nuke plant in California that closed many years ago. When we were not busy shooting ourselves in the foot, were providing ammunition for the press to make us look bad. The goal is to inspire you neighbors by setting a very high standard. Not come up with lame excuses. If you do that, just maybe the community will support your plant in a political battle. Would people on the thread please use paragraphs? When these people reduce atmospheric CO2 to their target level, will they pledge to also decrease their food consumption so the poorest among the world’s population will still have something to eat? Maybe only then will these clueless activists realize how counterproductive their short-sighted objective really is! Wishful thinking. Otherwise it is nice to finally see some resistance to Jerry the Moonbeam. Do you object to the “slow-speed” or the $64B? Shellenberger seems to be a slow learner. Hope he learns more before he becomes Gov. of CA. I rate Brown at about 0.1, Shellenberger about 4. That is unregulated capitalism for you. Well we can’t all be Venezuela. The old ‘carbon’ canard, as if CO2 = chunks of sooty carbon flying around in the air. More precisely, why ‘deCO2, the economy’ at all? CO2 give us increased plant life which equals a better environment for all. So asthma targets mainly the poor, browns, & blacks? And CO2 is actually a bronchial dilator. That is why breathing into a paper bag, or using breathing techniques that raise lung CO2 levels, can help overcome or even prevent an asthma attack. So the excuse that CO2 is causing asthma is a load of anti-science crap…. He did not say anything about CO2 being air pollution. You assumed he equated the two. Most people do not associate CO2 with asthma. That’s a new one, to me anyway. The more recent GA and SC nuclear plant projects plus all the other lobbyist lies that came before them provide the basis for a financial intelligence test for all. It was always a financial disaster for the country and the ratepayers. It was the gift that kept on giving from the idiot president Jimmy Carter and all his Navy buddies, including the one who chaired the federal reserve system while taking interest rates to banana republic levels. That is only because the uranium/plutonium light water reactor beat out the thorium molten salt reactor in the marketplace. And the former won for one reason. It was highly subsidized by the defense department because the former could be used for making weapons when the latter could not. But the latter would have been a far better system for nuclear power. Rubbish. LWR’s are horrible for producing weapons grade Pu. To make bombs you use specialized graphite core reactors that you run briefly (weeks) and then process the fuel. Prolonged runs pollute the 239Pu with 240Pu which is wholly unsuitable for making a bomb and so difficult to separate you’re better off just enriching U to weapons grade directly. Thorium is a needless distraction at this stage (and for centuries). We should just burn good old 235U in the form of LEU fuel in an MSR and call it a day. There’s no compelling need to have the added development time, complexity, proliferation risk (yes, Thorium is probably a bigger proliferation risk than Uranium), and cost of Thorium. Politicians that believe in CAGW promoting nuclear over pinwheels is a good thing. But look at the reality of nuclear plant across the US. It is expensive to maintain as it gets toward end of life and that’s where a lot of it is. Nuclear plant has been closing faced by competition from gas, just as coal has. And with 2 of the 4 plants under construction cancelled, there isn’t a pipeline or even any solid proposals of nuclear in the US. where are the new investment proposals and designs? Govt backing for same? Its dead for the foreseeable future (and nobody is building any more coal plant, either). so: lots of great theory -zero chance of seeing new nuclear arrive. To get private funding on nuclear, you need to be sure your legislative environment doesn’t kill your plan. Americans almost chose Hillary Clinton. You can’t do sensible investments in such an environment. I’m sorry Griff, there is no real solution as long as greens have so much political power. We need the energy prices to skyrocket, so that people understand green idealists are bad for your wallet. Then we need a new Reagan. The US is the world leader in making electricity with 19% coming from nukes. Even with some plants closing, the US does not need to build new nukes because we are also the leader in making them run longer and produce more power. The COL process allows a utility to obtain a license to construct and operate a nuke plant in the future. That is an example of solid proposals. What is the problem? Wind and solar are examples of solutions looking for a problem that does not exist. Wind and solar design capacity factors suggest they are a poor solution at best. Actual performance indicates a cheap junk industry. The US is the world leader in making electricity with 19% coming from nukes. It is a good share. France is leading by percentage, 72%. Next solution? It is a sane comparison of all-in costs for each public and private choice free of advocacy and special interest spin. That spans the rooftop installer arguments that want to ignore shared grid costs to nuclear interests who want to stick the cost overruns to the ratepayers later. But in California’s case it includes the tactics of stalling all pipeline projects to infinity. Do keep up with these unreliables Griff. and it gets worse with solar output. You know, night time when the sun don’t shine and you’re tucked up in bed with teddy mate. Icisil can back up that serious allegation? “The designers of Fukushima did take tsunamis into consideration, but unfortunately allowed profit motive to attenuate safety concerns. To try to save money (water pumping costs) they lowered the plant elevation closer than they should have to the ocean and the modeled max tsunami height. The seismic tsunami design criteria for all the reactors designed to US standards is the same. They can be found in 10CFR50 Appendix B. It is based on historical records for 200 years and not crystal balls. I would hope that civil engineers who design schools and bridges use similar criteria. The point is that we live in a world with with catastrophic natural disasters. In this case about 20,000 dies. None were even hurt by radiation. The reason is there are more than 60 general design criteria. Dense in depth. The more expensive safety features of nuke plants are containment building and redundant and diverse safety systems. This why nuke plants cost more than coal plants. The cost are the same. I would support Shellenberger, if I was a Californian. Here is the problem with this logic. There are many different experimental designs and several different commercial reactor designs in the world. Other countries are not obligated to follow our lead. The CANDU reactor would be an example. A PWR LWR were adopted for naval propulsion because they would fit inside a submarine. They work very well. They were adopted for stationary power plants because they would fit in a containment building. They work very well. BWR LWR were also developed independent of the military. They work very well..
LWR have no practical use for making nuke weapons. So why does this engineer know so much about LWR? They work very well. This based on personal experience not something a read on the internet. Just for the record operating and designing commercial reactors is much more rewarding than reading crackpot ideas by those think they can do it better but will never do it at all. That is pretty strong language. I do wonder how much tract that gets? He accuses the California Democrat Party of corruption, waste, environmental destruction, and hurting poor people with out of control cost of living increases. S.O.P. for the DemonRats. It’s what we’ve been trying to tell the nation for many years. Not, of course, that I think the Repubican party is much better. The ‘Golden State’ is now the ‘No State’. Every fifty yards along the Pacific Coast Highway there is a no parking sign. Just one of the reasons I am glad I am ‘from’ California. If you paying more for gasoline or electricity than other states or countries; a likely reason is the tax structure. It takes a lot of money to control every aspect of your citizens. For example, there restriction on window area for new homes. When a nuke plant closes in California, it will be replaced with natural gas which has a sales tax. When you fill up at the gas station it is transparent. I just checked the ‘average price’ for Los Angeles to compare to the Louisiana city we are visiting. It is over $1 cheaper here. We maintain utilities at camping trailer where we also have storage shed. Fixed cost for sewer, water, trash pickup, and power is $30/month. The variable rate for fuel in the power bii is $0.03/kwh. The point is we pay government for services. That is fine with me until the service is wealth redistribution. Bingo….and it’s no longer deductible on the Federal tax form. “I will take the liberty of saying what I think the poster is getting at. 1. That there are solutions available to those Tesla battery design issues mentioned in the article, but the known solutions will kill Tesla’s range claim. 2. That there are three considerations when talking about batteries for E.V. (electric vehicle) designs. Range, charge time and battery life. The most effective solution for one of these considerations negatively impacts at least one of the other two. 3. That there are solutions readily available that solve any one of the three. Any potential method of solving two of them at once is very difficult and definitely not readily available. There is no solution available to solve all three considerations at once that have even reached the stage of a successful test of the theory in a laboratory. Which needless to say leaves a multitude of real world conditions that aren’t even subject to conjecture yet.